Formerly a top health official for the state, she has been the vice president of clinical affairs at the University of New England. 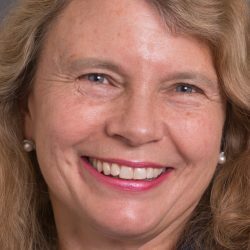 Dr. Dora Anne Mills, a former top health official for Maine state government, has been named senior vice president of community health for MaineHealth. Mills will start in late November and will replace Deborah Deatrick, who holds the same position and will retire in January, according to a MaineHealth news release. MaineHealth is the parent company of Maine Medical Center and a number of hospitals and health care facilities throughout Maine and Carroll County, New Hampshire. Mills most recently was vice president of clinical affairs for the University of New England and was previously Maine’s State Health Officer and director of the Maine Center for Disease Control and Prevention. MaineHealth has undertaken a number of public health initiatives, including the MaineHealth Center for Tobacco Independence, Raising Readers, and Let’s Go!, which promotes healthy living among youths. Mills also will be a proponent for public health issues for state and national government and do other advocacy work.